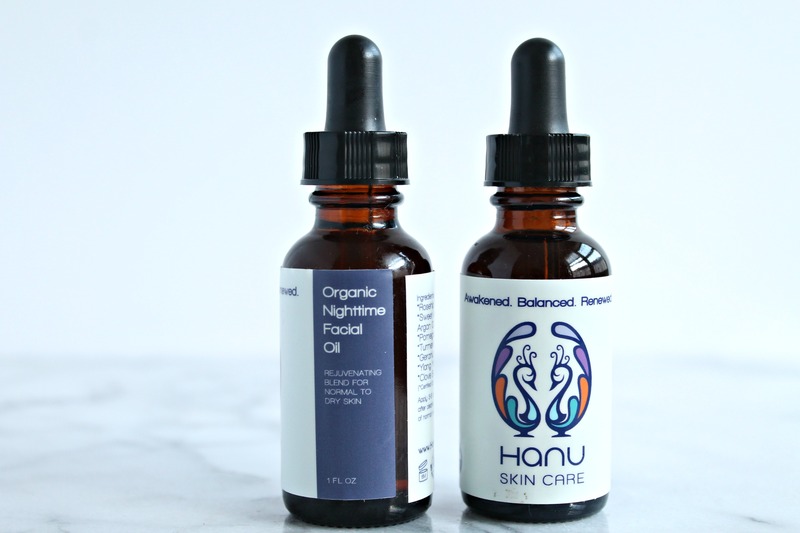 Locally made in Boston, MA, this new to me beauty skincare line from Hanu Skin Care has me head over heels and I think you’ll love it just as much as I do. Organic, simple ingredients, and lots of care go into each product – continue reading to see why it’s one brand I love supporting. As someone that’s moved on from traditional, chemical filled skincare to a more organic way of life, finding new brands that share the same mission and values is always my objective. That’s why I was excited when Hanu Organic Skincare contacted me to try our their products last year. I’ve been using them consistently for months now and it’s safe to say their oils are some of my favorite! Hanu Organic Skincare creates and sells organic, conscious cosmetics while educating the community on safe, natural skin care. This means we believe in disclosing every ingredient that we put in our products so that you know what you are putting on your skin. Organic Facial Oil (daytime): this organic oil is packed with so many good things I don’t even know where to start. Let’s start wit the castor oil – super anti-inflammatory! Pomegranate seed oil also helps inflammation, while lavender oil boots the flow of oxygen and nutrients to the skin cells. Lemon essential oil brightens the skin – which is why I love this early morning for an extra boost to my skin. Organic Nighttime Facial Rejuvenating Oil: nighttime is when your skin is at its best to absorb nutrients, so when you see the ingredients in this oil, you know it’s ready to do its job! Turmeric, geranium, yang yang, and clove bud are all restorative oils that will help detox your skin. Mixed in with the ever so amazing pomegranate seed oil, you’ll be waking up to incredible skin in no time. 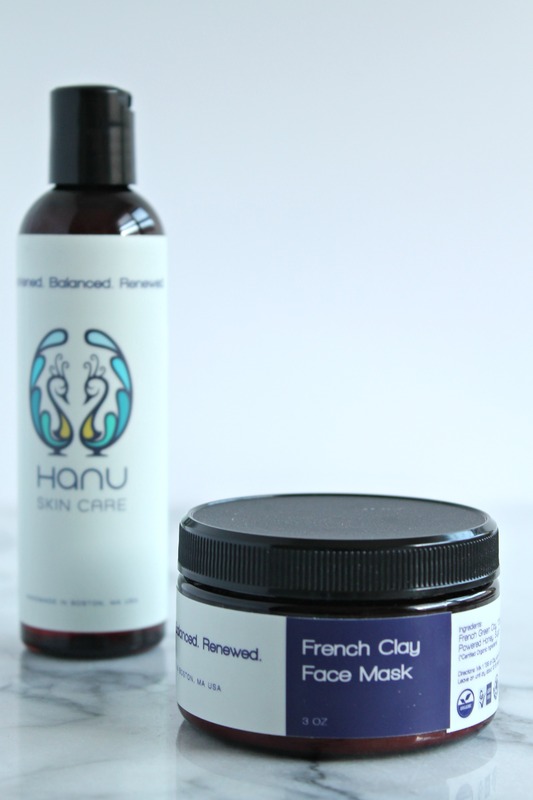 But enough about my obsession with oils and let’s talk masks, because I know some of you are quite addicted to masking and Hanu’s French Clay Mask is where its at. Masking has become such a trend lately, with more and more of us masking more than once a week – heck, I even know people that mask every other day. This French clay mask will be a once a week mask and best to draw out toxins. The ingredients, like powdered honey and coffee, produce an exfoliating and smoothing effect. Plus, I love masks that come in powdered form and you mix with water – it’s like a beauty science experiment! In conclusion, I 100% recommend Hanu Organic Skincare for those of you looking for an affordable, organic beauty skincare line. Check out their site and browse! Disclosure: This post features products received for editorial consideration. Links are non-affiliate links! Thanks for sharing us about these beneficial, plant based beauty oils. Very affordable skin care it also an affordable.